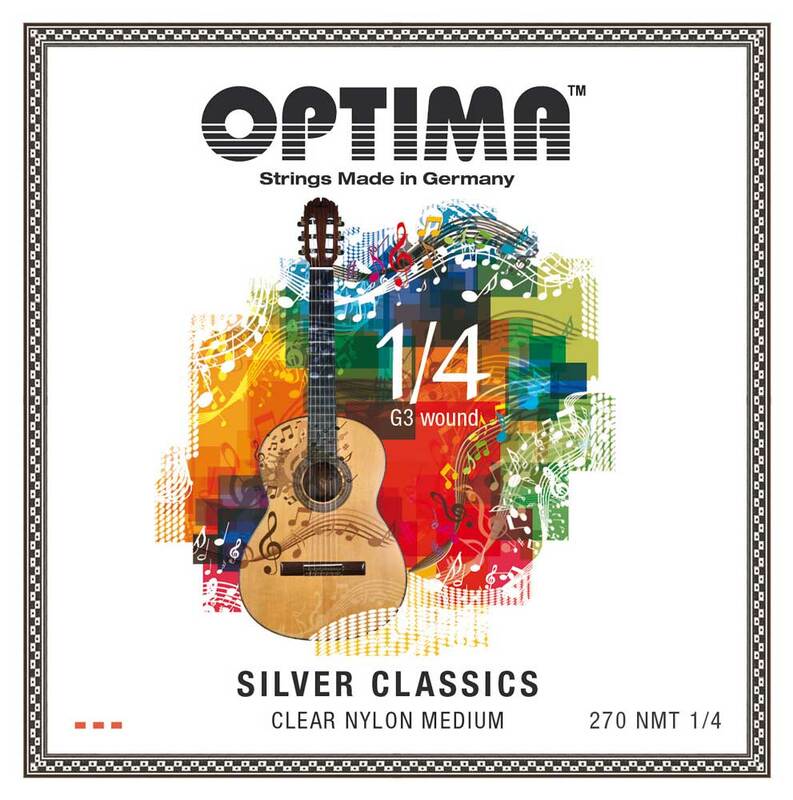 OPTIMA SILVER CLASSICS are also available for small scale lengthsand children guitars. The strings are, specially to each size, exactly calculated and have the same sound quality like the the 4/4 string set.The 1/2, 1/4 and 1/8 sets are delivered with a silver-plated wound G3 string. Optima's new concept of the development of the No.6 series has been the basis for the further development of this popular string series, too. An extremely good string which is suitablefor any guitarist. Due to its coating the string also has ahigh durability. Each string set comes with one of the 10cool stickers with ourmouse OPTIMO for collecting.